Multi-property groups need a unique solution to pave the path to success for each one of their hotels. With Travel Media Group Enterprise Solutions, our proven hotel marketing solutions work for hotel groups, brands, and property management companies. Our solutions and technology are built to grow with our hotel partners. Save time and enjoy the peace of mind of knowing that your hotels are performing well online. Whether you have 3 or 3,000 hotels, our scalable solutions will work for you. TMG services help individual hotels achieve their revenue goals while empowering managers and brands with high-level tools and analytics. We’ll work closely with your company to ensure that brand and management company standards are followed so that the online experience for guests is seamless. Ensure your hotels are growing their audience online. We provide consistent and engaging social media posts, monthly ads, and direct booking integration. You’ll also have access to monitor analytics, make profile updates, and post for your whole portfolio with one click. Help every hotel in your group respond to each review. 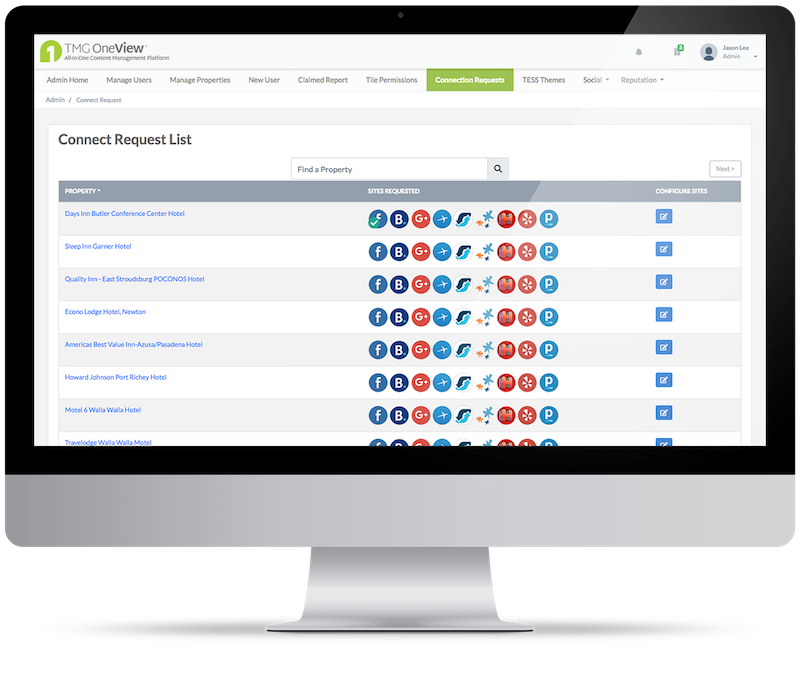 Get professional review responses with Respond and Resolve. You’ll receive personalized responses on every major review platform, including OTAs. Then, make improvements with advanced sentiment analysis. Attract partners with a customized management company website. Showcase your property portfolio while highlighting your group’s core values to investors, owners, and guests. Plus, provide each property in your portfolio with a responsive, SEO-friendly hotel website. I have worked very closely with Travel Media Group...and have nothing but great praise for the company’s product and attentive services. Travel Media Group can help build the online presence and increase direct, commission-free booking for even the most diverse property portfolios. Fill out the form to learn more about what we can do for you.